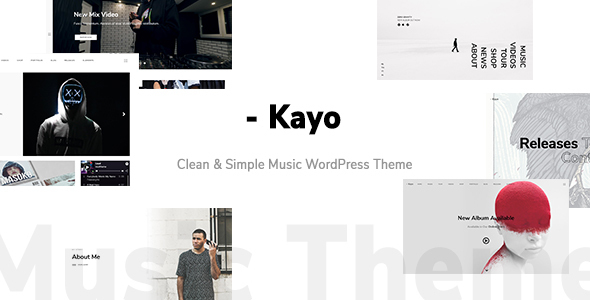 Kayo is clean and simple WordPress Theme for musicians, artists, labels and everyone working in the music industry. It includes all the feature you need to create a professional music website easily and quickly. Discography, Tour Dates, Playlist Manager, Store, Video & Photo Gallery etc. It is made simple and functional out of the box, yet offer high customization for advanced users who want to build the best website for their client. It includes an extended version of WPBakery Page Builder ($46) and the Slider Revolution plugin ($26).